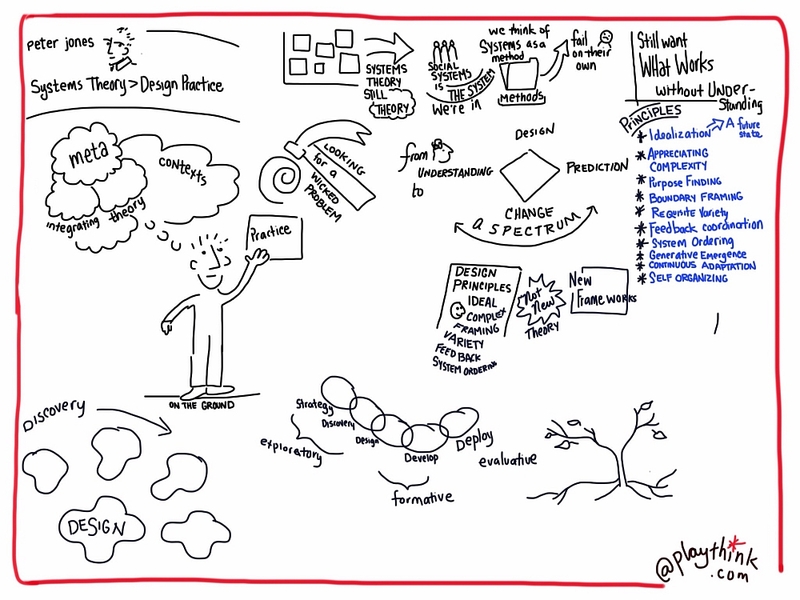 Jones, Peter (2014) Design methods for systemic design research. In: Proceedings of RSD3, Third Symposium of Relating Systems Thinking to Design, 15-17 Oct 2014, Oslo, Norway. Systemic design is distinguished from user-oriented design practice in terms of its expansive boundaries, its embrace of social complexity, and its preferred objective of systemic integration rather than market differentiation. 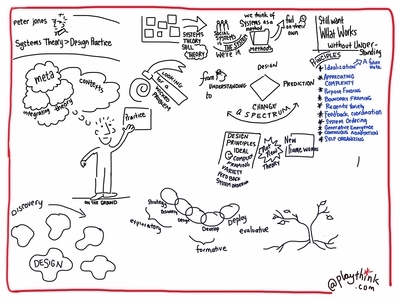 Systemic design is concerned with higher-order socially-organized systems that encompass multiple subsystems in a complex policy, organizational or product-service context. By integrating systems thinking and its methods, systemic design brings human-centered design to complex, multi-stakeholder service systems as those found in industrial networks, transportation, medicine and healthcare. It adapts from known design competencies – form and process reasoning, social and generative research methods, and sketching and visualization practices – to describe, map, propose and reconfigure complex services and systems. The recent development of systemic design as a research-based practice draws on long-held precedents in the system sciences toward representation of complex social and enterprise systems. A precedent article, published as Systemic Design Principles for Complex Social Systems (Jones, 2014) established an axiomatic and epistemological basis for complementary principles shared between design reasoning and systems theory. The current paper aims to establish a basis for identifying shared methods (techne, in Aristotelian terms) and action practice (or phronesis).